For about a year now, we have heard almost daily about the Healthcare reform bill in both the house and the senate. We then saw Scott Brown win the Massachusetts Senate seat, which gave the Republicans enough votes to block the health care reform bill. Let me take the politics out of the program and speak as an AMERICAN BUSINESS OWNER. Yes, I am a business owner who sells health insurance, but I think I could fix this thing in about 20 minutes. Here are the issues that we need to discuss all encompassing health care reform, NOT JUST INSURANCE COMPANY REFORM. First we need TORT Reform. We need to put aside some of these malpractice claims and let the Doctors do their job. My doctor in Illinois pays over $100,000 a year just for Malpractice insurance. Now do you think that effects what he charges for an appointment? You bet it does. HOSPITAL CHARGES- it is interesting when you go to the grocery store you know what everything costs, or if you go to a car dealership, you know what it costs. Have surgery, have no idea what it costs. I am working with one of my clients right now who gave birth by C-section. That is not unusual. The epidural needle that my client was given, any guesses what that cost was? $14,000. I will say that again, $14,000. Now the insurance paid what they thought was “customary” and paid $5000. I think $5,000 is probably a fair price for a needle in the back. I do not know what the customary charges are for that, but $14,000 seems absurd. PRE-EXISTING CONDITIONS- this is one is a hard one for me. If you make covering pre-existing conditions mandatory, either the premiums go up for everyone, or I could go without insurance until I was really sick, so that really does not seem fair to everyone. How about this idea, If you HAVE INSURANCE either through a job or a private policy, you cannot be denied coverage because you played by the right rules, if you chose not to purchase insurance through either your job or a private plan, You can then be denied. INSURANCE THROUGH YOUR JOB- This is part of the problem with the American System of health care to begin with. I do not know why it is my company’s responsibilty to insure me. It is a nice perk, but if we eliminated the “GROUP HEALTH” through a job, Everyone would either buy a private plan when they got off their parents plan, or they would go without insurance. If you got insurance when you are 18 or 19 years old, in most cases, you are healthy enough to purchase a plan. What if we made buying health insurance like a medicare supplement policy. With Medicare Supplement you enter a Guarantee Issue period when you turn 65. You have basically six months, with no underwriting. We could do the same with the under 65 market. When you turn 18, or stop being a full time student, you get a guarantee issue period. If you choose to enroll at that time, you are insurable for the rest of your life, so long as you keep making your premium payments. If more people purchase insurance especially at a young age, it will off set the sick people when they are older, that will keep premiums down. That combined with my other few topics, should be the blueprint our Congressmen should follow. I have been writing now for about 20 minutes so I will stop. There are a lot of other good ideas such as allowing to purchase across state lines, making plans more catestrophic in nature, and tax credits for purchasing health care. All should be explored. Eric Wilson, is the president of I Sell Health, Inc. A Chicago area insurance agent who serves the Mid-west. He can be reached at 888-448-5370. 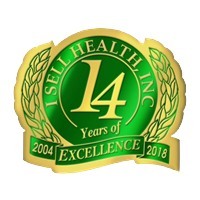 You can visit online at www.isellhealth.net or email him at isellhealth@gmail.com.